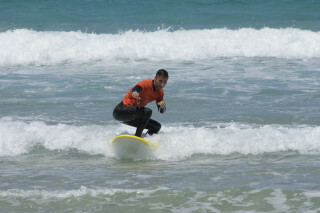 Surf on a stunning beach in El Cotillo, the "jewel of Fuerteventura"
The start time depends on the tide and weather conditions. We will let you know the time well in advance. If you would like a different number of lessons than listed, please contact us. After 5 lessons, each extra lesson is 40 euros (see pricing). The minimum age is 7, and the child must know how to swim. Although we try to keep groups at no more than 3 people, the absolute maximum is 6 on busy days. If you bring a USB, we will provide photos. 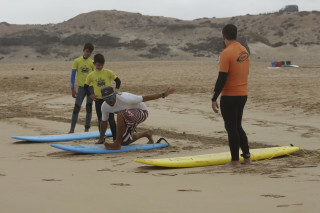 Small groups, safe learning, waves foaming and racing around you - that's what these surfing lessons in Fuerteventura guarantee. With our exceptional instructors, you'll learn more in three hours than you thought possible, all while having fun from beginning to end. 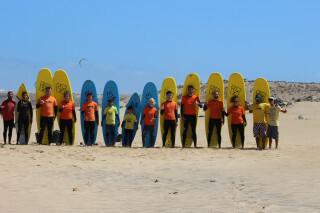 We meet at our surfing school in El Cotillo, a charming town known to many as the jewel of Fuerteventura thanks to its stunning beaches and two beautiful harbors. 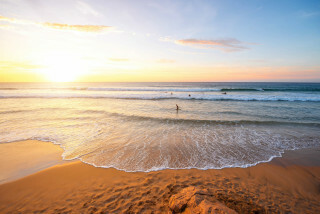 We provide all the equipment necessary, so all you need to bring is your swimsuit. 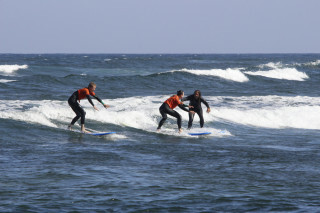 Our instructors know exactly where to take you for the best waves, and provide vehicle transport if the chosen beach is a bit far. 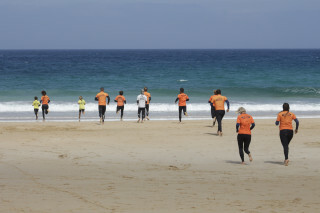 What makes our lessons stand out is that each group has as few people as possible per instructor. The goal is to ensure significant progress, no matter what level you start at. Our instructors also stick to a "learn by doing" approach. 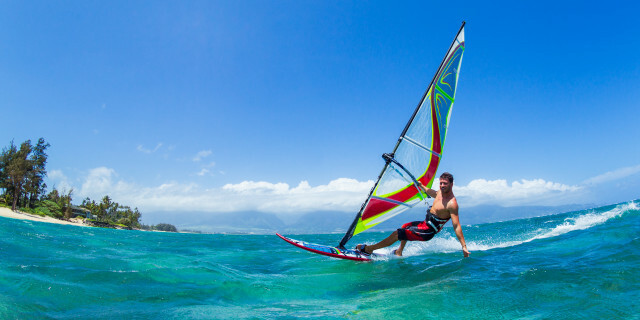 Although your first lesson includes an about 30 min long introduction to ensure your safety, all other lessons keep the theoretical portion quick and to-the-point so you can jump in the water almost immediately. Your instructor makes sure to pay individual attention to you and notices even the smallest mistakes. You have the freedom to take a break at any time, but you learn so much with our instructors cheering you on that you'll probably want to stay in the water. There'll be plenty of time to rest after!